Who's Going to Headline Our 5th Annual Cabaret? 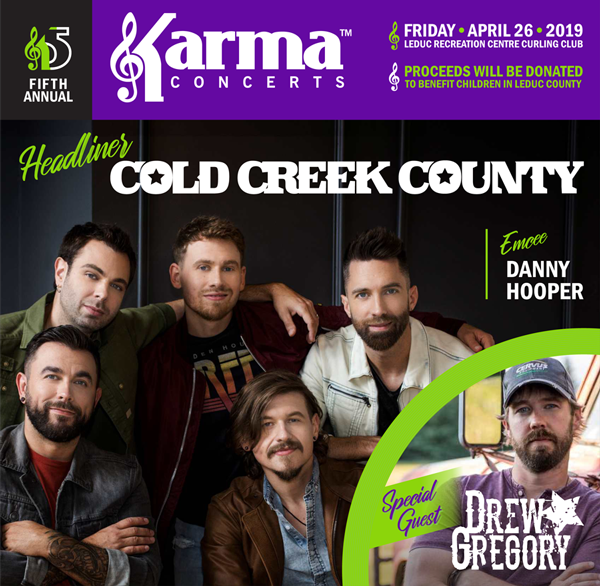 Cold Creek County with Special Guest Drew Gregory! We can't wait to see them rock our stage on April 26th at the Leduc Recreation Curling Club. "...knowing that they are also making a difference in a young person’s life. "